More screens mean more of what you're working on, more gaming and more productivity. 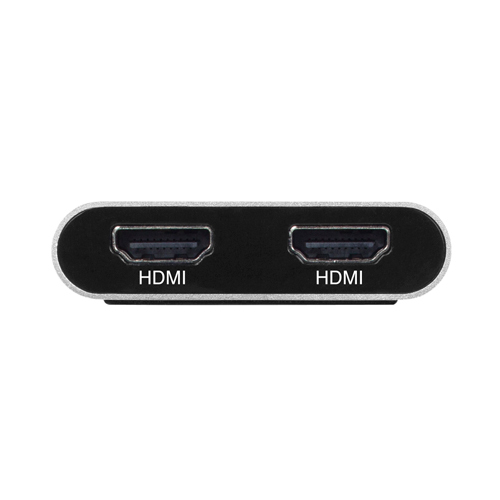 With OWC's Thunderbolt 3 Dual Display Adapter, connect two HDMI displays up to 4K at 60Hz, without draining system resources or degrading performance. Choose the easy way to massively increase your screen real estate. 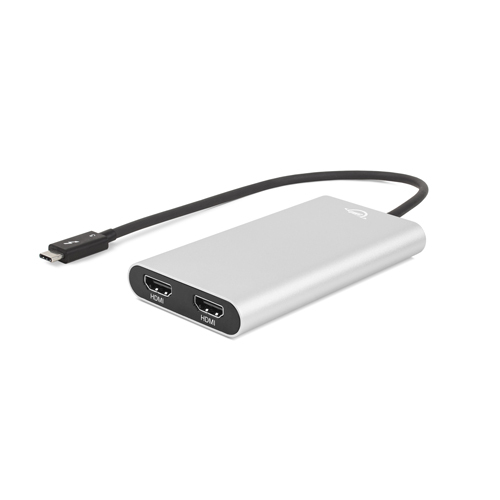 Compatible with any Mac or PC with a Thunderbolt 3 port. 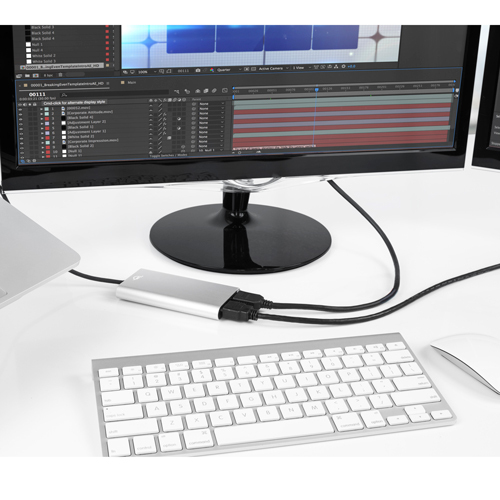 They're bus powered and come with an integrated Thunderbolt 3 cable - so all you need to do is plug in your monitors. Perfect for adding extra screen space to your laptop workflow, increasing productivity, setting up a powerful desktop workstation with the monitors you already have, or immersing yourself in a rich gaming experience.